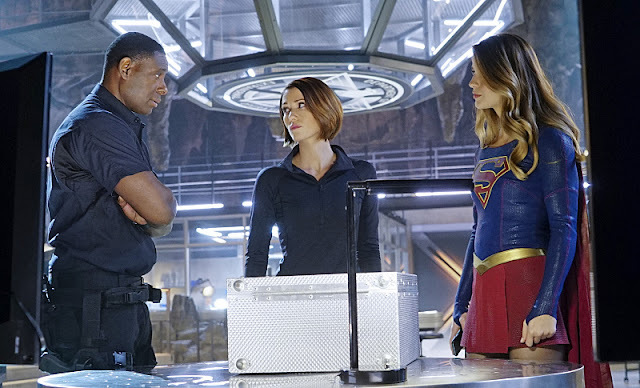 Maxwell Lord (Peter Facinelli) finally releases his secret weapon against Supergirl (Melissa Benoist) as the myterious Jane Doe in his lab becomes 'Bizarro' Girl (Hope Lauren). Also, Kara and Cat Grant's son, Adam (Blake Jenner) get closer in tonight's episode entitled "Bizarro." Check out the three previews below.